Space at a premium? Clutter taking over your home? 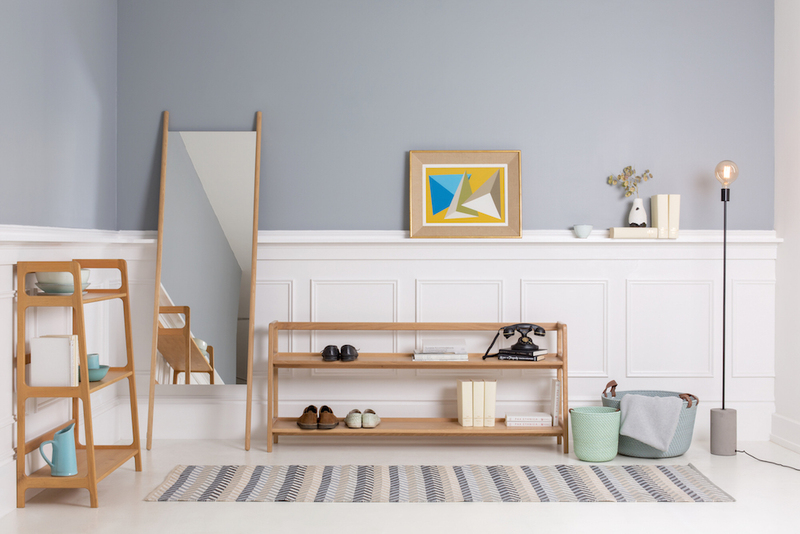 Get the most from your space with these versatile storage solutions. Whether you own your property or belong to generation rent, there are times when we all feel that our home is being held hostage by our stuff. Yet by taking a different approach to storage and display pieces, you can really bring a sense of order to that cluttered or small space. 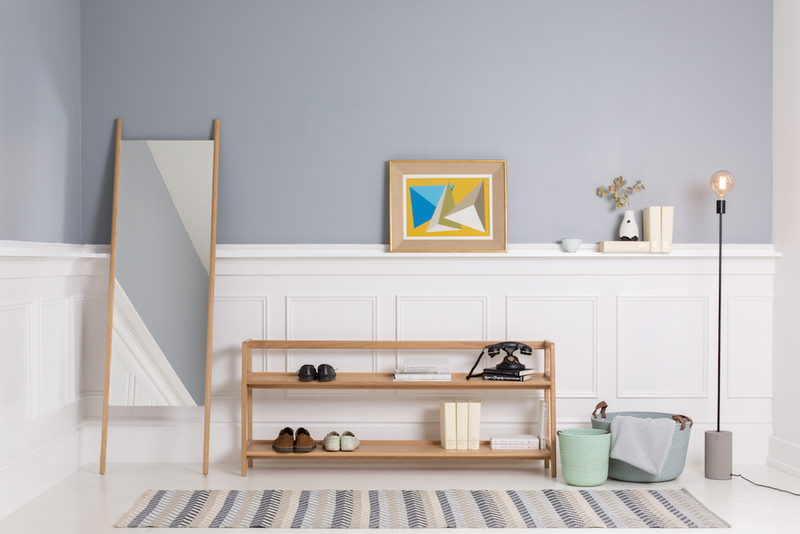 Stripped back: George Leaning Mirror, Tra-Ra Clothes Rail (top image), Agnes Long Shelving in Oak (bottom image), Bristol Floor Lamp in Matt Black & Concrete and Zox Flatweave Runner. 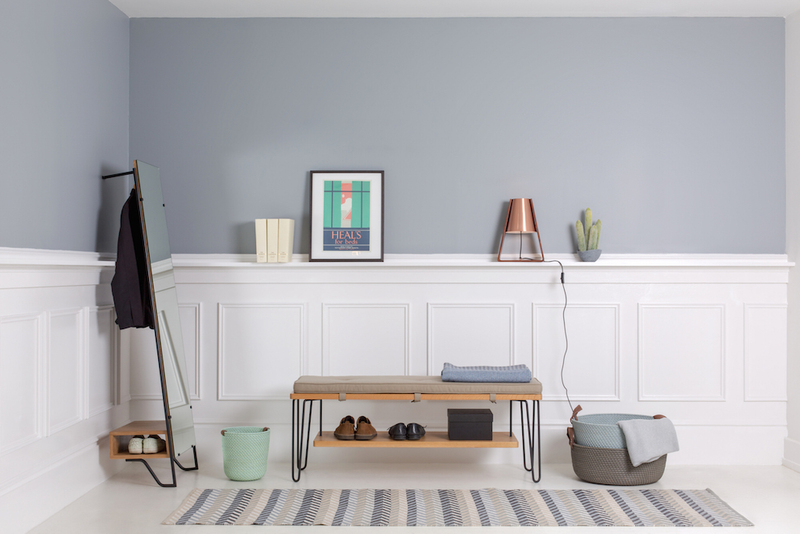 Connecting rooms such as hallways and landings can often feel a little bare or even a wasted opportunity, and while it’s good to preserve the space, adding a few storage pieces can help to redefine how the room is used. 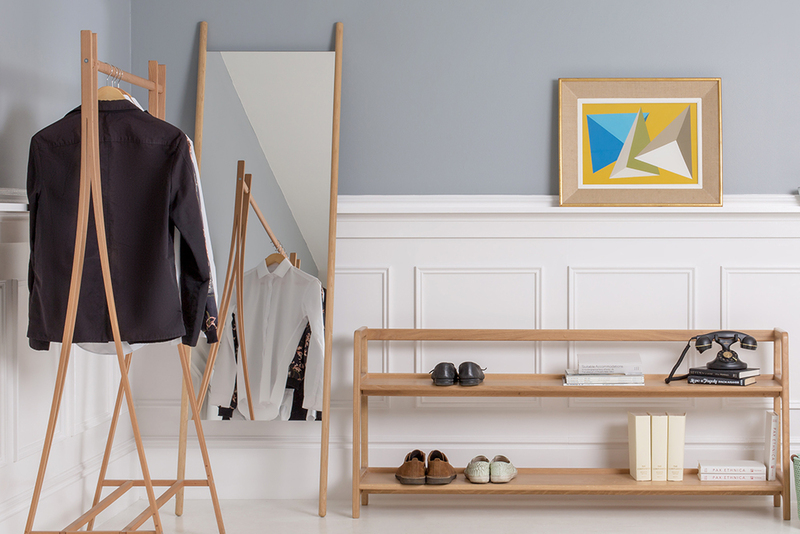 A wall leaning mirror is a great way of opening up the space and alongside a hanging rack turns that thoroughfare that is the hall into a place to get ready before you head out. On the move: Passe Passe Coat Stand (top image), Brunel Leaning Mirror (bottom image), Brunel Bench with Shelf, Agnes Long Shelving, Bend Table Lamp in Copper and Zox Flatweave Runner. 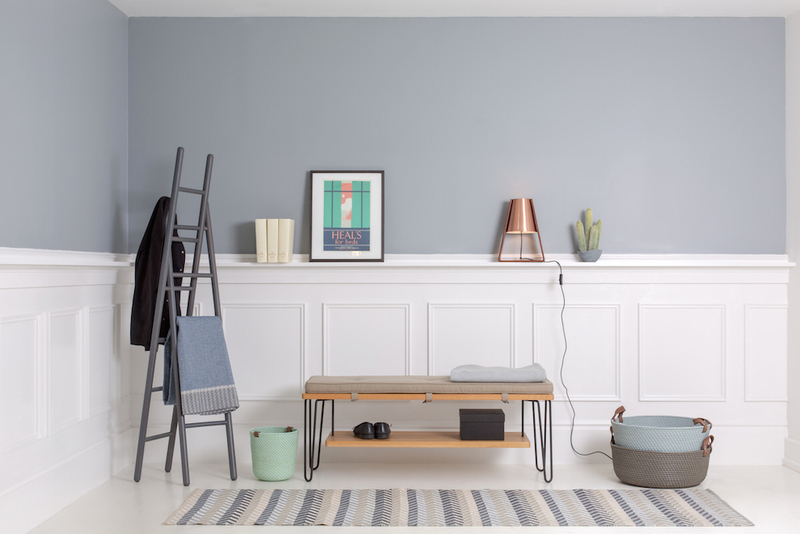 If you’re in need of flexibility or like to regularly give your interior a refresh, go for multifunctional designs (see the Brunel Bench with optional shelf shown above) and pieces that can easily be installed in any room. 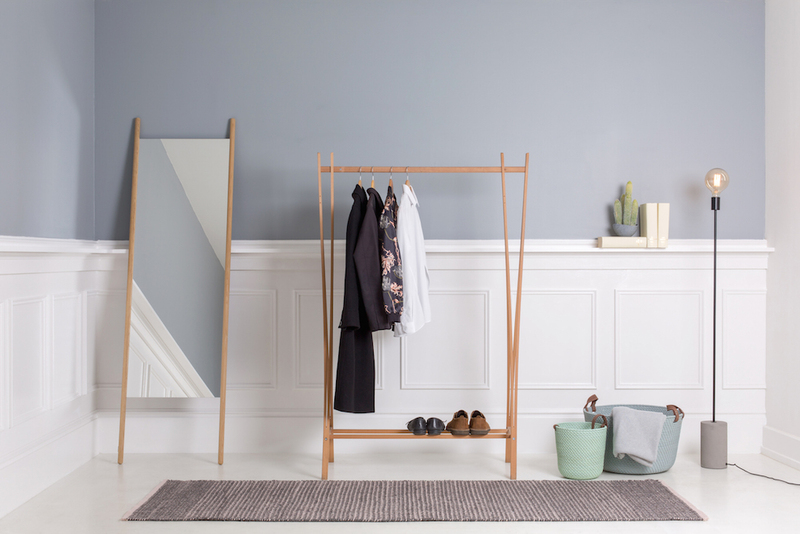 Freestanding hanging racks and leaning designs provide fuss free alternatives to cumbersome wardrobes and are especially handy when a room lacks built-in storage. 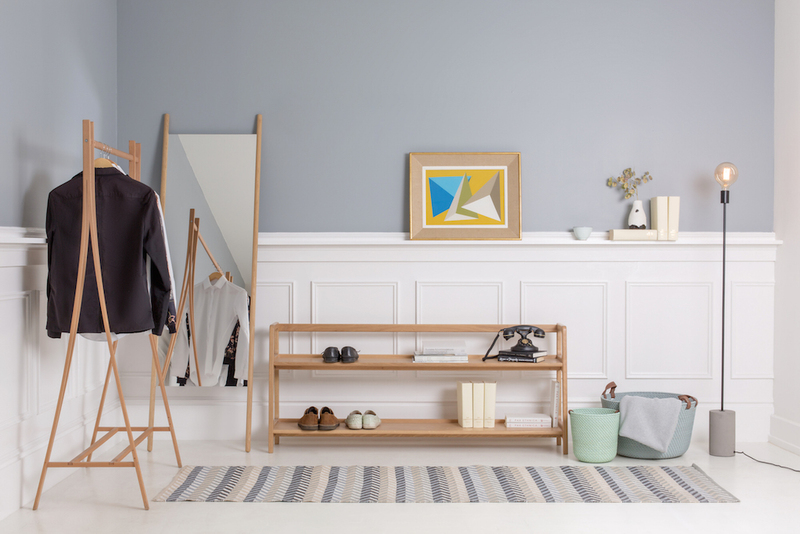 Stripped back: Tra-Ra Clothes Rail (top image), Agnes Medium Shelving in Oak (bottom image), George Leaning Mirror, Agnes Long Shelving in Oak (bottom image), Bristol Floor Lamp in Matt Black & Concrete, Zox Flatweaver Runner. Designers are always looking to break the rules when it comes to how we use a piece of contemporary furniture, and so should you when designing your decor. Who says a bookshelf should only be used for paperbacks and encyclopedias when it can just as easily provide a practical piece of storage to display your shoes.